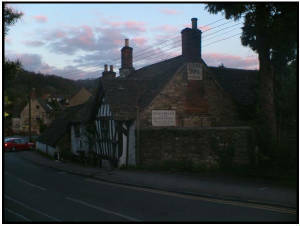 The Ancient Ram Inn is located in Wotton-Under-Edge in Gloucestershire. 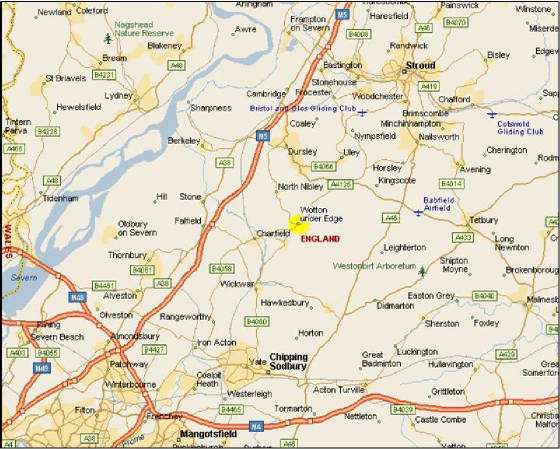 Built in the 1100's it is reputed to be one of the most paranormally active locations in England. The Ancient Ram Inn certainly has attracted attention from ghost-hunters all over the UK, following claims that it is one of the most actively haunted houses in England. Following episodes devoted to its haunting shown on “Scream Team” and “Most Haunted” amongst many others, legions of investigative teams have descended upon this building in an earnest attempt to capture evidence that this house is in fact haunted. 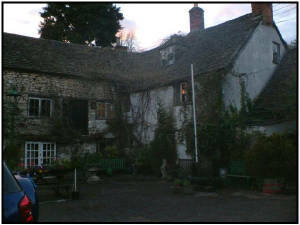 On Saturday 16th April 2005, I ventured to the Ram Inn as part of what has become a must-do, mecca-like trip for all paranormal researchers - part of an investigation conducted by the UK’s foremost investigative group - ASSAP (The Association for the Scientific Study of Anomalous Phenomena). However this was not my first, but my third, Field Study at the Ancient Ram Inn. I was involved in my capacity as Deputy National Investigation Co-ordinator and was responsible for the direction of the field study. The investigation was spread over two consecutive nights by ASSAP, who have a long-running involvement with the former hostelry. However, I had responsibility for the second night. The Friday night field study passed by without incident. Unfortunately, so did Saturday night, with the exception of my EMF Meter and Negative Ion Detector (NID) both registering simultaneous readings in one of the upstairs rooms - something which was a first on any investigation for me. Indeed, I have had EMF readings before, but never one on the NID. Whether that was paranormal, no-one can say at this time. It is, however, cause for further study and must still be included in the file of evidence. ASSAP possesses some excellent equipment that was installed at the premises, yet recorded nothing of significance. But what about the crunch-question - is the Ram Inn actually haunted? It is not the first time I have visited this building and I have to say that I am becoming more and more doubtful on each visit. What I can say is that this place is full of clutter and bric-a-brac. It also has stuffed animals heads hung upon many walls, and various religious artefacts placed all around the house. This creates a wonderfully foreboding and “spooky” atmosphere. Combine those factors and it is easy to see that someone could fall over in the dark and think that they were being attacked by an unseen entity… just call me cynical in my old age! Perhaps you should visit and see for yourself.